December Birthday? We got you. Let us guess… all you want for Christmas is for someone to remember your December birthday? Well, consider it a wish come true! If you’re feeling overshadowed by the man in a red suit, Beautify is here to help all December babies feel special. We know what it’s like to get those joint presents that are ‘for your birthday and for Christmas’, and even when you do get a birthday present, the wrapping paper is probably covered in reindeers. There’s no escaping it. That’s why we’re championing treating yourself! Ever do your Christmas shopping and think ‘you know who’d love that… me.’? Take back control with a little indulgent self-gifting. Who says preparation and organisation can’t be cool? 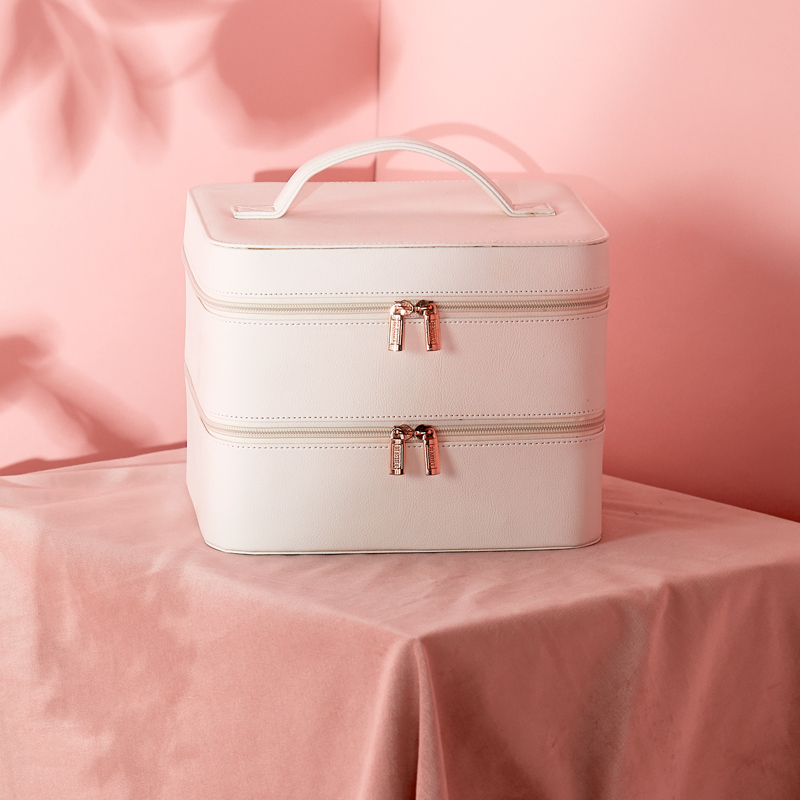 Channel your inner Monica Geller and get ready for all the extra makeup on your birthday wishlist with the White 2 Tier Makeup Case? The frosty white finish gives it a crisp, sleek look, while the removable dividers inside let you split the space to use for whatever you need. Snow, icing sugar, Santa’s beard, the Large Storage Trunks… yep, everything we need for a fabulous holiday season is white. 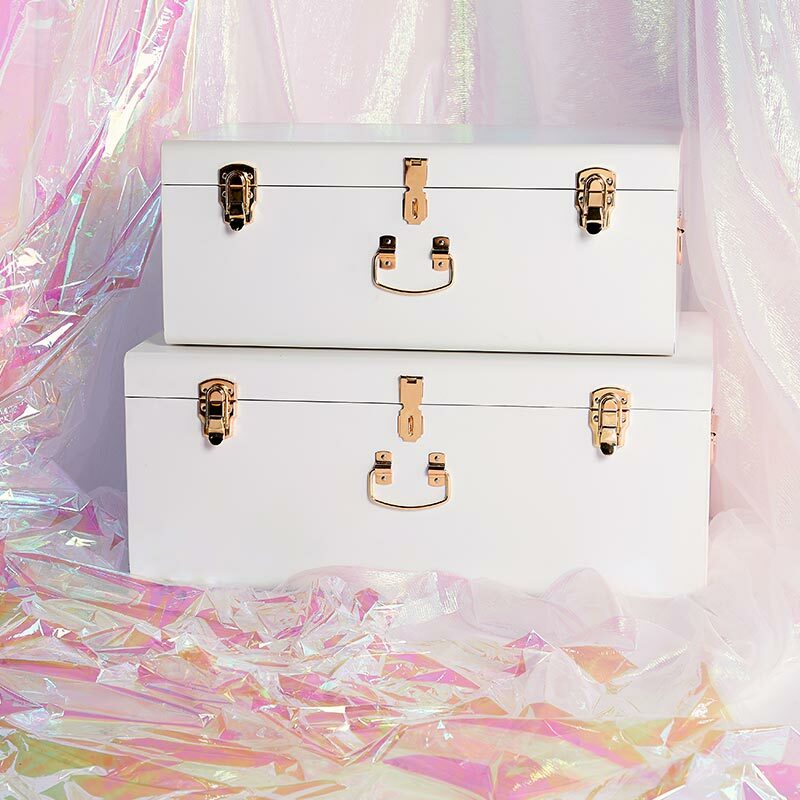 These gorgeous trunks are great for storing all the birthday presents you bought for yourself. If you’re a fancy furniture kinda gal, the White LED Armoire with Drawers is right up your street. With a full length mirror you can sing a rendition of ‘happy birthday’ to yourself when nobody else will. (This is really sad, please don’t do this. If necessary, we’ll come sing to you personally.) Plus, behind the light framed mirror, there’s heaps of concealed storage to keep everything neat and tidy. As we’re self-indulging, we may as well chuck in some self-love too! 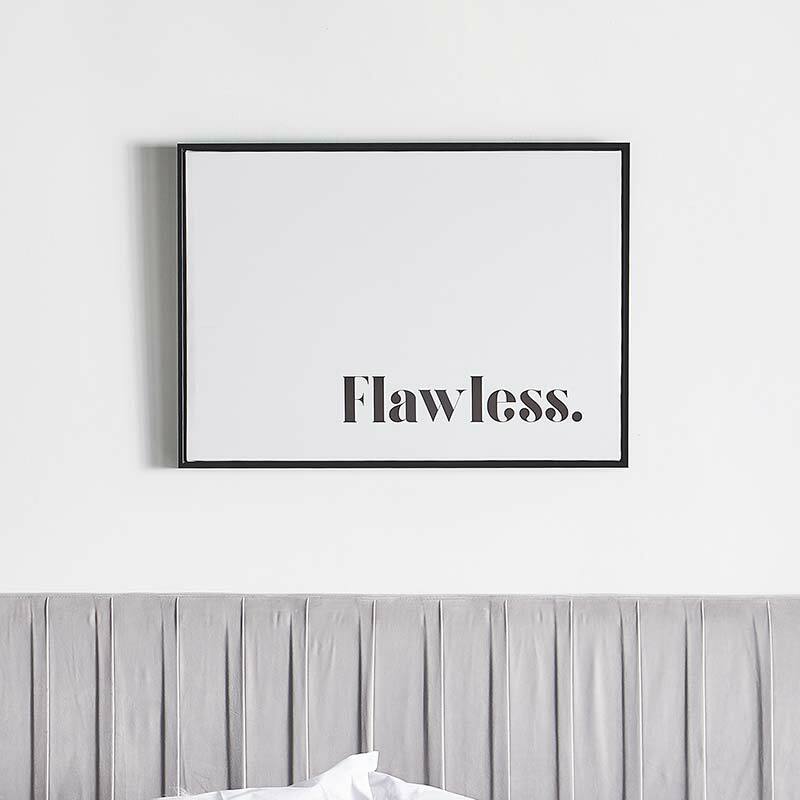 Buy yourself a little reminder to hang proudly on display with the Flawless Canvas. 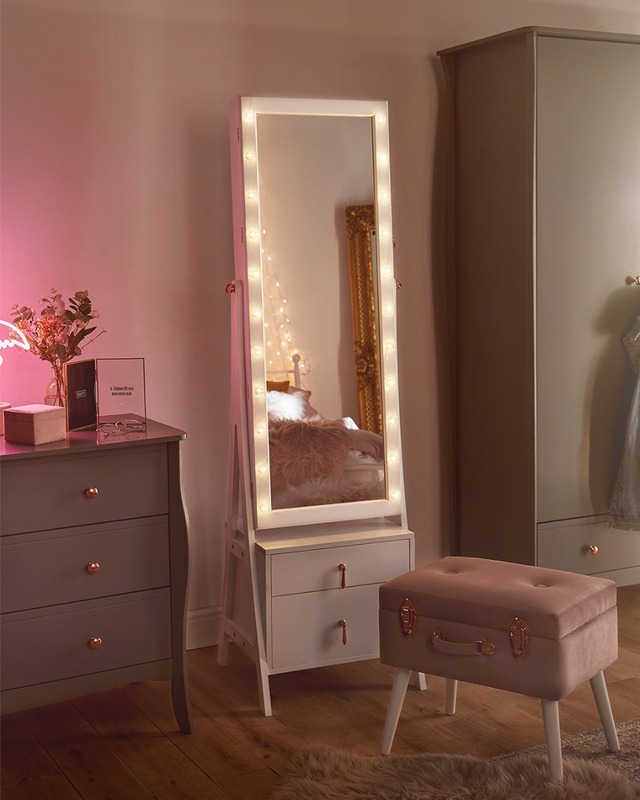 If you’re not having a birthday party, have a girly night in and show off your new Electric Hollywood Mirror. With dimmable bulbs you can use it to create an ambience or create the perfect selfie set-up.